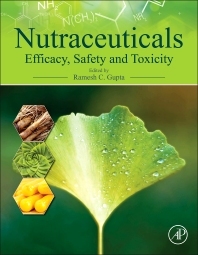 Nutraceuticals: Efficacy, Safety and Toxicity brings together all current knowledge regarding nutraceuticals and their potential toxic effects as written by the scientists at the forefront of their study. Users will find an introduction to nutraceuticals, herbal medicines, ayurvedic medicines, prebiotics, probiotics, and adaptogens, along with their use and specific applications. This essential reference then discusses the mechanism of action for the judicious use of these nutraceuticals and the best tools for their evaluation before detailing the safety and toxicity of nutraceuticals and their interactions with other therapeutic drugs. Finally, and crucially, regulatory aspects from around the world are covered, providing a comprehensive overview of the most effective tools for the evaluation, safety, and toxicity of nutraceuticals, prebiotics, probiotics, and alternative medicines. Can Nutraceuticals Be Subjected to an AOP Approach?